There is a difference between having an inventory management system and having a 'great' inventory management system. A great inventory management software for your business is the key to making your retail business succeed. This is why you should use the best inventory management system at your fingertips. There is a difference between having an inventory management system and having a 'great' inventory management system. A great inventory management software for your business is the key to making your retail business succeed. This is why you should use the best inventory management system at your fingertips. But why choose PrognoStore over the others? You should choose PrognoStore because we are committed to making it the best inventory management system for retailers in Nigeria. Just in case you aren’t exactly sure of what inventory management is all about you can read all about it here. Small to medium-sized businesses with many products do not usually have a have a reliable and efficient system for tracking orders, their usage within along with the inventory of products or equipment. As a result of this, there are often situations when the person in charge of ordering supplies places excess or deficit orders, which is very costly to the business and can even lead to failure. When you are a product-based company, your inventory is obviously the most important part of your business. Therefore, a proper management of this inventory is critical and would require a good inventory management software. Increases efficiency: Having a good inventory management system increases efficiency for your employees and your business as a whole. Of course, employee efficiency is paramount to the overall health of your business. Without a good inventory management, locating inventory data would be time-consuming. So instead of paying your employees to search through files to locate them, running out to the warehouse every time a question pops up about what’s in stock, or manually write reports on a daily basis, you can easily eliminate them by implementing a good inventory management system. Your whole organization will become more efficient as details about your inventory will be updated automatically without the need for manual data entry and you will be happy because everything you need to know about your business will be easily accessible. It satisfies your customers: One of the major reasons for business growth is customer satisfaction. As the saying goes “Every customer is always right” and “Customer is King”, thus, accurate reporting leads to better fulfillment, less under or overselling. You can also sell customers what they want because you are certain that the stock you see is actually the stock that is available either at that point of sale or in the warehouse. This helps you sell what you actually have, leading to less unfulfilled orders and disappointments. Knowledge of your inventory: This is applicable to businesses with multiple outlets. So if you are a business owner with multiple outlets in different locations your business doesn’t have to suffer. I.e having your employees constantly calling each other to find out whether one piece of inventory is available or not. Accurate inventory management will eliminate any issues with inventory location, including being unable to track down that one item a customer wants. Actual time visibility: This is very necessary because at any point in time, you’ll know exactly how many items remain in inventory and this helps to keep your business running smoothly. With a proper inventory management system, you would be able to reorder items from your supplier or vendor with ease because you can tell the actual amount of products you have left and if you need more. So order errors can become a problem in the past. 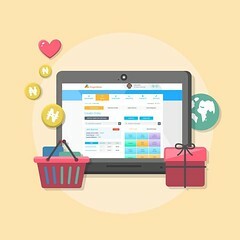 PrognoStore is a software solution that will provide you with all of these benefits, and because it is cloud-based, you can access your data from anywhere as long as you have an internet connection. Test us out here for a free 14-day trial, and see the difference that accurate and efficient inventory management software can make for your business.